I’m very pleased to announce the release of a new financial education course called Financial Transformation. This is a video based course that you can watch in the comfort of home. It will be available 24/7 and help you learn the best strategies for reaching Financial Independence. We live in the richest nation in the WORLD and sadly we have the highest rate of financial illiteracy in the world. Due to this disconnect only 5% of our population ever riches financial independence. This means 95% end up dead, dead broke or at best financially dependent, which means they rely on family, friends, social networks, institutions, churches and at worst the Government. That’s no way to live and quite frankly its ridiculous that the vast majority of our society shouldn’t attain financial independence based on however an individual defines it. It’s all about awareness. Learning and understanding what you don’t know, but maybe think you know. We all suffer from a starting point of unawareness, a point we don’t know that/what we don’t know. It’s impossible to know what you don’t know because you are basically unaware that the knowledge even exists. This is where Financial Transformation comes in. Over 8 Modules with 8 lessons in each module I will walk you through concepts and ideas which will create some AHA moments. I promise and can guarantee that you will find nuggets of information and concepts you have never heard before or even thought about. You will gain a renewed perspective on money, finances, decisions about money and a clear understanding of financial literacy. This experience is about learning how to be counter-intuitive in your thinking about money. The information generally provided is not meant to help you reach financial independence, its motivation is to keep your money flowing into the hands of the institutional funds and the government. And no its not some conspiracy, its simple economics. Free enterprise and capitalism are the greatest form of independence ever created, this is why we live in the richest nation in the world. Financial literacy is a combination of education and common sense, which you would think has to be a part of a general education. But sadly it has never been part of your education experience unless of course you were a finance major in college and even then some basic financial literacy might have been dismissed. You owe it yourself and your family to attain financial independence and this course will provide you with the tools and concepts to accomplish this. 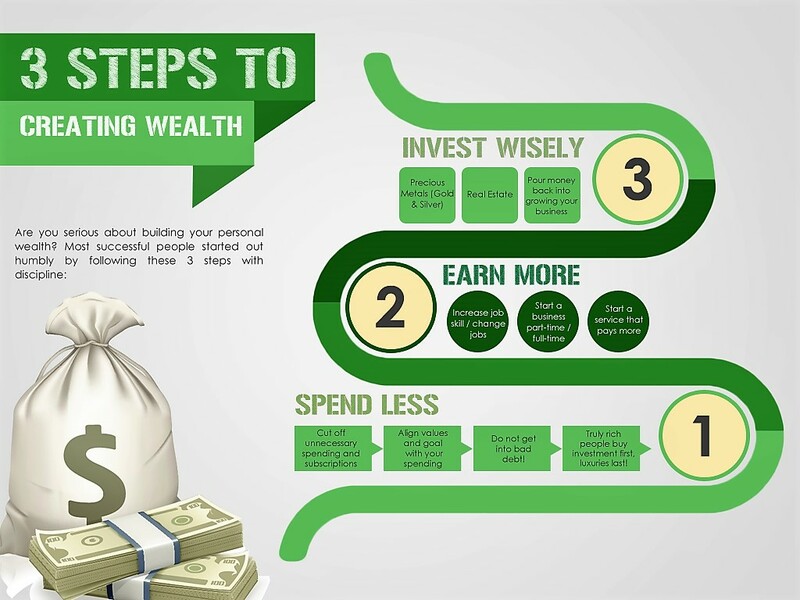 Here is a brief introduction which includes a sample financial literacy lesson. We all heard about the goose who laid the golden eggs when we were children. This fairy tale has a strong moral for financial victimization. 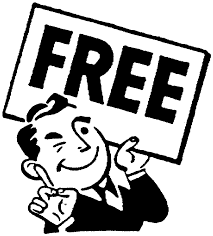 In fact it can be the key to unlocking many scams and frauds long before you lose your money. A goose who could produce eggs made of gold on a daily, weekly, monthly or even annually would be quite a valuable asset. This asset is even more valuable because it also creates ongoing cash flow (golden eggs). So the capital appreciation value of this asset is strictly a retention based value, in other words there would never be a consideration to sell this asset outright. Why would you? The continuous flow of golden eggs makes this an asset that one would never seek to sell unless the acquisition price was 1000’s of times the value of the eggs. WITHOUT websites, traffic, lists, products … or even customers? exactly when to do it. With this software suite that shows you from A-Z how to become a highly profitable crypto investor … or DOUBLE your m.oney back. Today’s tip is always ask yourself if the offer you are looking at is selling a GOOSE and if it is, you can bet it’s a scam. 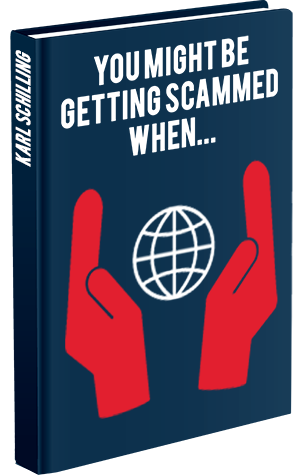 Remember scams are not always illegal or illicit, many times they are simply valueless offers which provide nothing in return for your money. PS double money back offers are of little value when providers make it impossible to get your money back or they go out of business. It is important that YOU have the right information at the right time for the right reason. Credit repair is a great financial fitness tool when you are able to use it properly. Unfortunately, many credit repair companies try to snare consumers by offering credit repair through illegal or unethical tactics. … The Credit Repair Organizations Act (“CROA”) is a federal law that protects consumers from unfair and deceptive practices by credit repair organizations. What is the Credit Repair Organizations Act? The Credit Repair Organizations Act (“CROA”) is Title IV of the Consumer Credit Protection Act. Despite its name, it is not actually an act; Section 401 states, however, it can be referred to as “Credit Repair Organizations Act”. This clearly identifies and acknowledges what can and can’t be done in credit repair. Does it work? A good amount can actually effect your credit, so if you believe there are errors in your credit report, you can benefit from one of the best credit repair companies correcting those errors for you. … This is a loophole that credit repair services will use to raise your score. Have a full understanding of the law and be able to write your letters properly. Take the time to do the proper due diligence and research what letters are used. Now, a do it yourself effort also has many unfortunate pitfalls. Firstly, you must know what type of information on your credit record is causing any potential damage. You must write the letters per the law and make sure to reference the law. The credit bureaus easily identify good letters from time wasters. The other consideration you must undertake is the value of your own personal time. Are you worth $20, 50, 100 per hour, if so how much will it truly cost you to do it yourself? 501C3 Non-Profit organizations which provide credit repair services are exempted. In conclusion, credit repair can make a huge difference in your financial fitness as your credit is a foundational financial tool which can dramatically impact your ability to become financially independent. Speak with a specialist before determining what is your best option. Of course that includes doing it yourself. Lastly, do your due diligence regardless of what process you decide to use. Due diligence is key whether you do it yourself or you choose an outside service. Your credit record is a complex vehicle which is pieced together through a very opaque formula. The credit bureaus are overwhelmed with a potential database of 250m+ people. There are going to be a percentage of mistakes and the only one who can assure your record is in proper condition is YOU. There is no process the credit bureaus have that identifies mistakes and correct them for you, it’s your record and your responsibility. Always, always remember the key of any smart decision about money is DUE DILIGENCE. Proper due diligence is Full Disclosure, Total legal and regulatory compliance and Clear transparency. Any service, investment, purchasing decision that passes through these 3 lenses successful is most likely a smart decision about money. As we enter 2018 scams and fraud are already off to a fast start. The new threat is digital and it’s growing exponentially. The Advocacy Network is a member of the ACFE (Association Certified Fraud Examiners), and in this month’s fraud newsletter there is an article “Fraudulent Scams expected to rocket in 2018” Robots, ransomware and ripoffs..how criminals are getting smarter. In 2017 approx. 2 million online fraud incidents were reported in 2017, according to new data. Only 20% of crimes are actually reported so these numbers could simply be the tip of the iceberg. It goes on to discuss how we will be scammed by robots. Not the robots from Sci-Fi but the AI bots who roam the web. It seems the opinion is we will see more “phishing” attacks that rely on AI (Artificial Intelligence) over the next 12 months. Threat-actors will harness AI technology to launch sophisticated, automated campaigns. The proof seems to show itself in the fact that in 2017 Equifax, SEC and NSA were all breached. The bottom line is YOUR identity has never been more transparently available. It’s almost like you walk around with all your personal information printed on your forehead for all to see. I am providing you with a link to a great one stop guide on how to detect phishing emails and keep your inbox protected. Just follow this link to that guide and keep it for future reference, send it to your closest friends as well. Can you imagine a piece of malware that can train itself on your writing style and how it differs based upon who you are contacting, then leverages this nuanced understanding to send tailored, contextually relevant messages to your contacts. Cybersecurity professionals warn they expect the use of social media bots will expand beyond public influence campaigns to financial gain, automatically distributing malware, linking to spam sites, phishing and more. As these bots evolve, they will become less distinguishable from humans, increasing both their influence and effectiveness. The spread of fake news via email and social media has grown exponentially and now the crooks will be monetizing it. Scams exploit a person’s emotions as opposed to their logic and rational thinking, tugging at a person’s heartstrings by tempting them with salacious and financially beneficial material. This fake news epidemic is going to get much worse so it is important to be aware of the efforts. What they look like, what they sound like, what the motivations are, all of this info is vitally important for your protection. Poorly protected businesses will aid scammers. Many small businesses do not have the financial wherewithal to completely protect their information. Small banks, (well even BIG banks as is seen by the hacks of some major financial institutions) especially merchant banking services are poorly protected. The scammers and fraudsters are well aware of this and they have become more sophisticated in technological advances. The bottom line is awareness and that is what we provide. 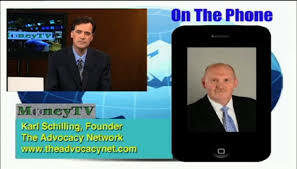 The Advocacy Network will keep providing you the most up to date and fully vetted information. You must beware that there are also scams in which the fraudsters will attempt to education you on their scams and be sucking you into their scams. It’s truly a very deep pool and the players keep changing their rules to stay ahead of law enforcement and government agencies. When the so called major government agencies are victimized how can you feel any sense of safety? The most important part of our financial lives is the credit record. The Banks and financial institutions control us through our credit record. Sadly, the incidence of financial illiteracy that exists in our nation is the core problem. The existing problem with debt is directly related to financial illiteracy. The solution is education, but that education has to be simple and easy. People want an easy button but the financial services industry and the banks, lenders and securities industry doesn’t want to provide any education and they certainly don’t want to provide a solution. As a nation we have been educated to believe in the securities industry, the message is how mutual funds are the best place to put your retirement savings. The risk and reward of such is never exposed, it’s always somehow a safe investment. Yet the market is speculative, all speculative investments carry the highest level of risk. Any other persistent storyline is simply untrue. Yet the world of ERISA (qualified retirement plans) such as 401k’s IRA’s etc are all fully invested in speculative investments which carry exorbitant hidden expenses. Those are always opaque and you never know how much you are losing in potential gain due to expenses and fees. That’s how the banks and financial institutions make out like bandits. They take zero risk with their money and earn billions on the speculative investments of the middle class along with the huge amounts of interest payments from debt which is stealing the middle classes opportunity for financial independence. If this is hard to believe, just look at the facts: 95% of everyone who reaches 65 or older ends up dead, dead broke or financially dependent at best. This 95% has been the same for almost 100 years now. It hasn’t changed because we are taught to accept it. Go to school, get a good education, that leads to a good job which you spend 30+ years and retire with a gold watch, pension and then you ride off into the sunset. This was never true, it was always a fantasy based upon the statistical truth of how many people end up financially dependent. Today, there is $8T+ in mortgage debt, $4T+ in auto financing debt, $2T+ in student loan debt and a whopping $875M in credit card debt. Look at those numbers, and then go ask 10 people which of the 4 has more debt outstanding. Is there more mortgage debt, auto loans, student debt or credit card debt. Most people would guess mortgages were #1 but they would be way off on the other 3. In fact people would greatly over estimate credit card debt becasue they sense that is their #1 problem. Financial wellness is attained through financial literacy education and some systematic approach to build a financial game plan. That game plan needs to be built around the reduction of debt and the improvement and consistent health of a credit record. Then the risk management needs such as Home, auto, Life insurance and then the consideration of wealth accumulation. The reduction of debt stops the loss of money running out the window in the form of interest payments. Those future dollars then can be used to earn interest for wealth accumulation. This type of financial planning is especially necessary for the forgotten middle class. Those families earning $50 -175K can attain financial independence. They are not going to reach it without education and a systematic approach. A new paradigm in financial planning. This is what the Advocacy Network does. We work with the middle class by creating awareness, providing financial literacy education and helping people attain financial independence. Our financial concierges are all trained and professionally developed to provide a simple and easy financial game plan for the middle class client. We provide the type of services that are missing in this market place. While the financial services industry chases the high net worth clients we can provide the basic fundamentals for the middle class. The potential for financial independence is available to every American, regardless of class, gender, education, family wealth, social circle or any other supposed need for such independence. It’s all about money and making smart decisions with money, most Americans waste well over 60-70% of the dollars they earn or obtain via other sources. This is a simple lack of fundamental truths about money. It’s a lack of awareness of the 3 dimensions of life (Past, Present and Future) we all have past YOU, present YOU and future YOU. Each has money flowing through their hands and the pathway to financial independence is the complete awareness of how money and time forge together. That is what our workshops are all about. In the climate of today’s financial environment, there exists a great deal of financial victimization. Many times the very professionals who are responsible for making the public aware and helping them with financial decisions are the very ones perpetrating victimization against the very people they should be serving. Of course I will submit that this represents a small minority of financial services professionals yet even that number creates a great deal of pain and financial misery.We presently live in the richest nation and society in the world. Many believe we are the wealthiest society in the world civilization history, of course that is open to debate. Yet, we at the same time have the highest rate of financial illiteracy in the world as well. This has led to a very specific condition which is 95% of all people reaching age 65 and older end up at best financially dependent. That means they are fully reliant on family, friends, social circles, agencies, organizations, churches and at the worst the US government for a portion of their financial needs. NO financial independence which usually equates to no independence. Two of the greatest financial victimizations that contribute to this dilemma are AMORTIZATION and Credit illiteracy. These two work hand in hand and both have their foundation in financial literacy. Awareness of debt and how to use it properly is one major financial hurdle for all Americans. Today, more than ever before, we live in uncertain economic times and the way we do business is changing rapidly. It’s evident that we as individuals must take complete control and responsibility for being better prepared to handle our personal credit rating, financial position and our family affairs. Unfortunately, as youngsters the majority of us were not provided the or essential tools to understand the importance of a credit score or how valuable that credit score would be to accomplish just about anything. At the same time, how many classes did we have on limiting and managing our debt or the significance of protecting our identity, assets and family? Concerning, isn’t it? Over the course of your lifetime, having less than excellent credit can cost you upwards of $1,000,000 in substantially higher interest rates, fees and other unnecessary charges? Currently, 4 of 5 credit reports have errors on them, causing lower credit scores? Over 49 million people have a 599 credit score or lower? Simply put it doesn’t have to be this way, there are solutions and those steps allow individuals to get on the pathway to financial independence. The average American household debt exceeds $225,000 and those same households have less than $500 in savings. The real cause is that debt represents dollars from future you, in the form of unearned income. The penalty on that debt is called interest and those interest payments are further loss of future dollars leaving future you with no dollars to put to work with compound interest. Thus you are compounding losses and the continuation exhausts the time you have to accumulate wealth. Thus debt reduction and the best credit record along with proper use of leverage through debt is how to become financially independent. AT the Advocacy Network we have strategically aligned with Financial Education Services who has established the perfect solution. This is the FES protection plan which will be the foundation of building your financial independence. The depth of Financial Victimization includes scams, fraud and predatory sales tactics. There is still a great and vast lack of consideration in the marketplace as to truths about financial victimization. It is truly the elephant in the room which is ignored by the public, the media, law enforcement and the financial services industry as a whole. In fact the financial services industry is totally disconnected by their own concepts that financial literacy should begin at home. 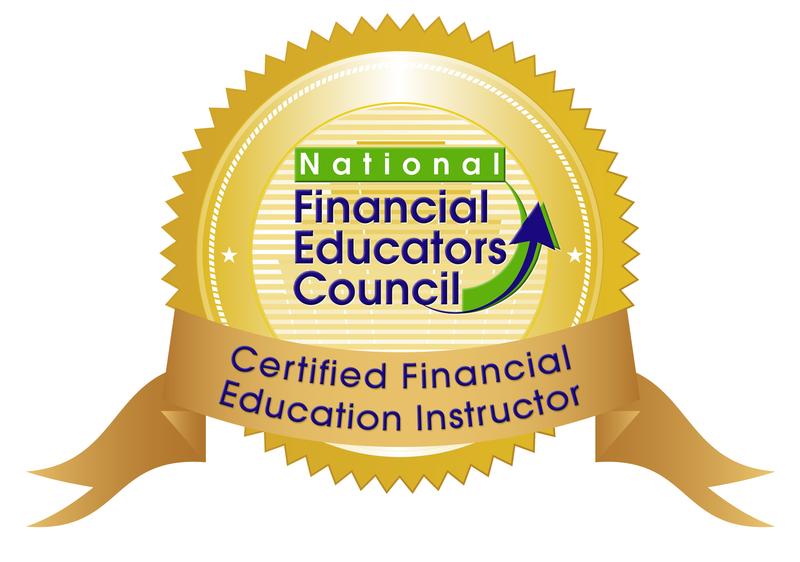 If the financial services industry takes no responsibility for financial literacy education who exactly will? So, the two most prevalent cause of financial victimization are lack of awareness and financial illiteracy. Until these two obstacles are overcome the numbers of victims will continue to grow each year. Presently all forms of financial victimization account for $250B+ in annual losses. That’s a GREAT deal of money being lost by mostly people who cannot afford such losses. It is also not a victimless crime and is quite often portrayed in media and entertainment. Suicide is very often a direct result of financial victimization. That is hardly victimless. There is a level of anger, shame, guilt and pain that is experienced by victims. Yet, with all the illicit financial victimization there is another form that is totally legal and perpetrated against the average American. This financial victimization is known as AMORTIZATION. Every homeowner is a victim, as are automobile owners, student loans and credit cards. All are forms of amortized payments which are nothing other than the spending of future unearned dollars. This is much like the unfunded future liabilities of the government. Now, let’s be clear I’m not preaching against debt, in fact I believe debt or leverage is a tremendous financial tool. It allows us to create the lifestyle and life experience we enjoy in the present, by bringing forward dollars we have yet to earn. The cost for that is interest. Thus interest payments are also payments of future dollars and as such it is compounding losses. These future dollars paid in interest are never recovered and never used for your own personal wealth accumulation. The best solution is to pay the least amount of interest possible. We all have to pay back some interest because that is the cost of debt, yet we certainly don’t have to pay as much interest as the banks, and other lenders target through amortization tables. In order to stop future losses which are compounded through amortization, you must have the mathematical ability to understand the best use of every dollar that passes through your household. By closing all the cracks and filling all the holes in your finances you have the opportunity to create future wealth of $1.5M or more. How would you like to have $1.5M or so when the 4th Qtr of life appears. Look, the odds are stacked against you. Why? 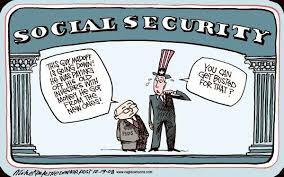 Well, did you know that 95% of everyone who reaches 65 and older is either dead, dead broke or at best financially dependent on family, friends or at worse government. Only 5% attain financial independence. If you truly wish to tilt the odds in your favor you need to rely on the Prospio Leveraged Banking system. This is the first step to achieving financial independence. Here at the Advocacy Network we have created the complete cycle of financial solutions which will get you into the 5%. Isn’t that worth your attention and 45 minutes of your time? Kindly watch this brief preview and then go to www.trivesta.com/advocacybz watch the testimonials to see how people just like you have enjoyed great benefits, then complete the calculator to get an idea of how much you and your family will benefit and then attend a webinar to learn exactly how the system works. As we celebrate independence day it’s a great time to reflect upon the meaning of independence. Most would say freedom and independence are the same. That’s not even close, freedom is not independence, freedom is inferior to independence. Freedom simply is a sense of having the ability to come and go, mover freely through society. Independence is the individual freedom of action, freedom of creativity, freedom of financial lifestyle and life experience. An individual can be free and still be dependent. Yet no individual can be truly independent and have any concern about freedom. An entrepreneurial spirit is independent. Fully self-reliant. It’s important to understand that self-reliance is not selfishness it’s the opposite. Self-reliance helps make an individual practice selflessness. A desire to create and produce for the welfare and betterment of society. The great gift our founding fathers provide us was true independence, that should never be confused with freedom. Ok, so how does this relate to money. Well, freedom will not be in direct proportion to wealth creation. Independence on the other hand is directly proportionate to wealth creation. Independence is a state of mind which produces thought in the power of abundance. The independent person does not find themselves in a state of limitation. Your independence provides you with a clean canvas each day to paint your own success, that which you truly desire. Nothing can stop a burning desire that is correlated with personal integrity, honesty and strong moral compass. These are the traits that will manifest wealth and riches which are to be used. One of the great misunderstood principles is the law of cause and effect. Too many have determined that the ends justify the means and thus competition is a zero sum focus. Nothing could be further from the truth of cause and effect. Your beliefs about money have been ingrained from your socialization, mostly this is learned and passed won within the family. Possibly you were taught that money is evil, or that money is scarce, worse yet money is only available for others. All of these beliefs directly impact your ability to create wealth for you and your family. This is usually reinforced by the thoughts of those things you wish to avoid. Whatever your thoughts create is what your environment and circumstances will look like. Presently you are the sum total of all your thoughts to date. This is the essence of independence. No one else is responsible or accountable to your circumstances, that ownership belongs to you. Many who have accepted freedom have denied true independence as they need security. Any sense of security causes dependence. Regardless of what you are dependent upon any such dependence limits your ability to enjoy the power of limitlessness. All limitations are personally inflicted. Sadly we all fall victim to our own sense of limitation. The really successful people are those who embrace independence with a comfort of self-reliance and self-sufficiency. The growth of wisdom in this cause and effect develops the desire to help others through a sense of selflessness. The full circle then closes with wealth accumulation. Compensation is in direct proportion to the amount of service you provide. A sense of independence allows for you to embrace a continued level of service to others with the confidence that you will enjoy ever increasing compensation in direct proportion to the service you provide. Hopefully you will gain a sense of awareness as to the difference between freedom and independence and how that difference will impact your ability to become financially independent. PS enjoy a magnificent safe and happy 4th of July filled with Burgers, Apple Pie and Ice cream. All the staples of American Independence. This week I sat through “The Wizard of Lies” which is the HBO version of the Bernie Madoff’s 25 year run on a Ponzi scheme. This entire story is one of incredible non accountability, sheer ignorance on behalf of the SEC, FINRA and every other level of regulator in the industry. The Bernie Madoff story is one that is an outlier to the typical Ponzi schemes. The sheer length of his ongoing fraud is a massive indictment on the selectivity of the regulators on Wall St. Madoff was a total insider and as such he established a level of “good ole boys” credibility which allowed him to go unchecked for decades. The red flags and warning shots across the bow were available for any prudent regulator to see, it was however conveniently ignored with regularity. It is easy to make the statement of how no one will ever be able to promulgate a fraud on the level Madoff did. Yet, as we speak there are probably at least 3 ongoing Ponzi schemes that have the red flags and warning bells going off, and are actively being ignored by regulators for any number of rationales. Will any ever reach the dollar amounts that Madoff did? Possibly not, but I am never surprised by anything that happens in the world of scams, fraud and predatory sales practices. Would anyone have believed the level of predatory sales manipulations and direct fraud committed by management at Wells Fargo? 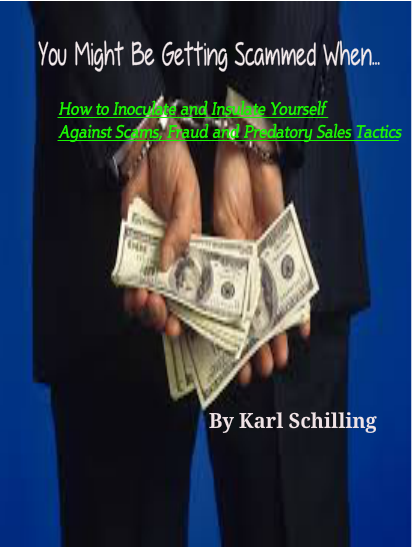 As long as there is hope, desire and greed in the world there will be scams, fraud and sales manipulations. It’s built into the psychological D.N.A. of victims. Whatever story lines you see built on the Ponzi-schemes, stock frauds and other major frauds there is always a strong sympathetic bias towards victims. Sadly, all this does is help create more victims. As long as the financial victim continues to be a sympathetic soul we are simply enabling them to become systematically victimized with regularity and impunity. It’s time to help victims by exposing them to the harsh truth about their experience. They have culpability and with each Madoff or Stanford who comes along and pilfers their money the victim focuses on the poor me aspect of their shattered lives. My job is to work with victims on a regular basis and our work is to help clarify why victimization occurs. If the why’s are discovered the events can be stopped and the conmen (includes women) can be stopped at the door and never gain traction with a potential mark (victim). When you are aware of the psychological triggers that occur in the process of being victimized you will be forever insulated from being a victim. As long as the people around you sympathize they will forever enable you. This enablement will directly lead to future financial victimization and you will be forever in the vicious cycle of being a victim. The Madoff story displays the basic human behavior of those who are victimized. The vast majority never confront or discuss it as they suffer from pain, anger, embarrassment, shame and want to be forever anonymous. Then there is the minority who are driven by pain and anger while constantly seeking revenge. This group is not seeking to balance the books or find closure, they are purely motivated through anger, hatred and bitterness. They ultimately destroy all the good around them while pursuing their blinded hatred. This is displayed in the HBO version of Madoff. Presently it is 9 years since the exposure of Madoff’s scam and there still remains victims who are obsessed with revenge. It does no one any good and when you see how those people are impacted by their own hatred and bitterness you see the continuation of their victimization. The psychology of victimization is a fairly complicated process, without identification and healing the cycle of victimization will never end. A very sad reality exists in that both the perpetrator and the victim have a sick connection. That connection is that neither is a sympathetic character. Both are perpetrators in the process of financial victimization. The painful reality is every financial victim had many, many opportunities to avoid involvement in the investment, purchase or business agreement. Each victim voluntarily participated, and many times they gleefully ignored every red flag or 6th sense call to walk away. When interviewed those who are willing to work through the psychology of the process all admit they heard that tiny voice in the back of their mind saying this is too good to believe. They also admit that they could have done more complete due diligence but simply relied upon a certain level of trust. This is how it always happens. Trust can never be taken in consideration of complete due diligence. Proof to this point is the fact in the Madoff deal where the regulators never made a simple call to the DTC to confirm that his investment advisory had an account. This was 2 years prior to the final fall of the Ponzi scheme. Why did the regulators ignore making a simple confirmation call that would have taken a couple of minutes? No one will ever have that answer, but it probably had to do with trust and credibility. As CEO & Founder of the Advocacy Network I experience strong frustration in the knowledge that each and every day 1000’s of people are being financially victimized. For everyone we are able to help the others are being exponentially multiplied. What is most aggravating is the fact that almost ALL financial victimization could be eliminated with simple awareness, financial literacy education and consistently taking some self audits on personal beliefs, habits and values as to money. Kindly know that the Advocacy Network is committed to eliminating all forms of financial victimization through creating awareness, providing financial literacy education and helping people achieve financial independence.